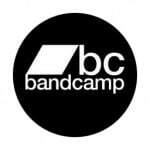 A Seventy Seven Minute Sonic Journey through voice, crystal singing bowls, nepalese singing bowls, feng gong, drumming, drones, and harmonic overtones ! The Harmonic Crown is Jeremy Sills, Athena Naia & Shambunata Saraswati. This sound healing project’s debut album came about through birth. Raven is the name of their first-born Son; a deep source of love, commitment and devotion in their life. Light tree or Tree of light is a powerful healing energy that lives in the cosmos. It is the totem of the teachers, the Mahuas; a lineage of medicine people in the Amazon who heal through ancient songs of Ikaro. Jeremy is a gifted Singer/Songwriter with a B.A. in music from Carleton University, & 15 years of training and exploring the healing power of sound. He has developed a mystical healing voice and sonic awareness that inspires a remembrance of the deep and silent space within each of us. Athena is a Healing facilitator, Yoga teacher, Doula, Artist, Musician and Bodyworker. Born in Greece, and raised in the Philippine Islands, she has spent the last 10 years in Canada creating sacred spaces, organizing major events and running a private bodywork and healing practice. Shambunata has been playing drums for over 20 years. His musical styles include Jazz, Latin, Classical, Drum n Bass, funk/hip-hop and world. Residing in Victoria, BC, where he is immersed in the study and play of Zimbabwean music. A Tantric Yogi, Shambunata maintains a full time distance healing practice by phone for the last 13 years, serving an international clientele. 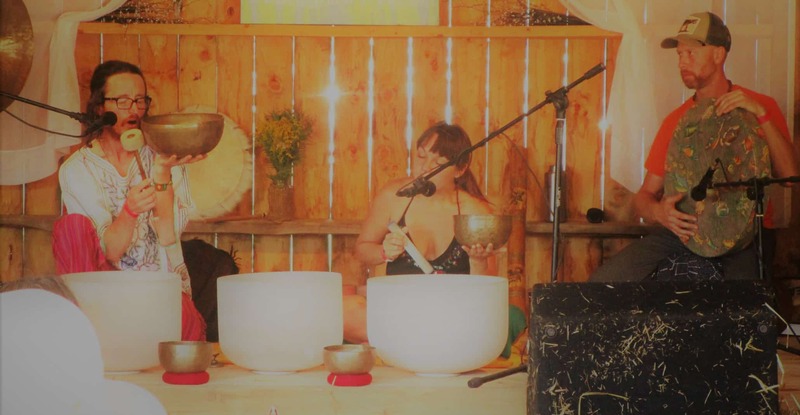 As spontaneous co-creations, their crystal bowl concerts weave a deep tapestry of high vibration frequency, in which profound awareness, transformation and healing may occur.